Visiting Hawaii isn’t cheap. 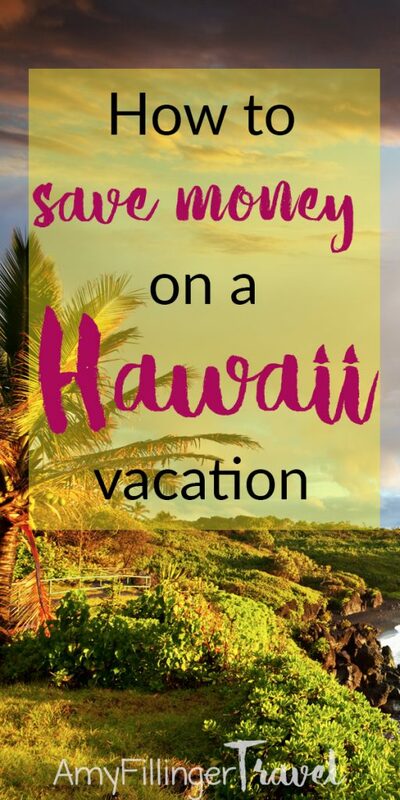 With that in mind, it is possible to save money on a Hawaii vacation. I always tell my clients to expect to spend no less than $5000. Yes, you might be able to spend less but cooking ramen noodles outside of my tent is not how I want to spend my vacation. This post isn’t about travel hacking using your credit card points or how to have a miserable (but cheap!) vacation. You can find posts about those things elsewhere. 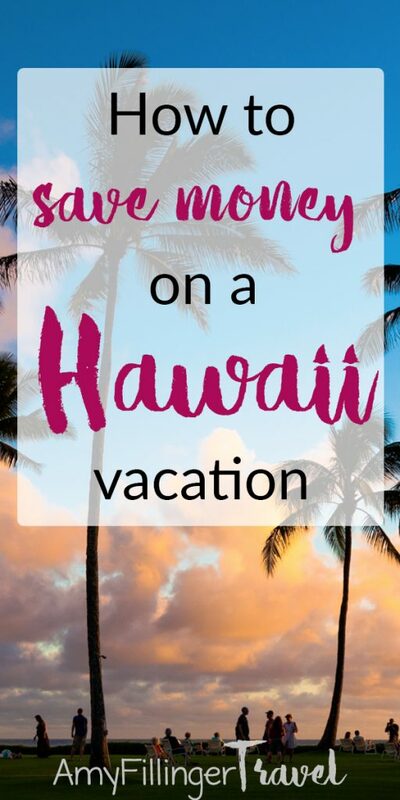 This post is about realistic ways to save money on a Hawaii vacation – while still enjoying yourself! 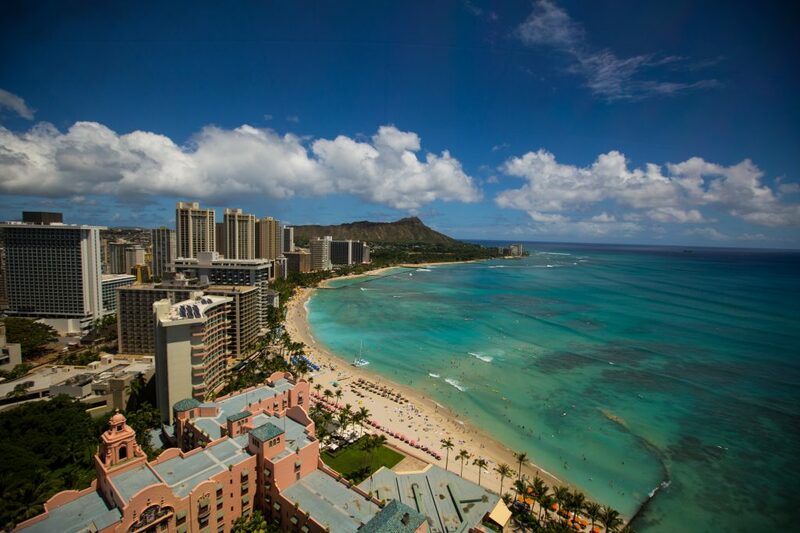 There are a few things that you can to do save money on a Hawaii vacation. Here are my top 7 tips. You had to know that this one was coming! It’s a common misconception that working with a travel agent costs more than booking travel on your own. While some travel agents do charge a fee, the majority do not. Generally speaking, any fees that a travel agent charges are outweighed by the value that they bring. Even if working with a travel agent ends up costing the same amount, it saves a considerable amount of time because someone else is doing the work. In addition, have you ever wondered why some travelers have bonuses that most do not have? They probably hired a travel agent. If you’re looking for more reasons to work with a travel agent, check out why you need a travel agent in 2019. If you want to save money on a Hawaii vacation, don’t travel during the high season. More visitors to the islands mean fewer accommodations and possible price increases. Flights generally cost more during high season, and affordable accommodations can be hard to find. The best times to visit the islands tend to be in April, May, September, and October. June-August and the holiday season are the most popular times for family travel. You’ll also find a lot of visitors from December-March looking to get away from the cold or see the whales that also visit Hawaii during this time. April, May, September, and October are the slower months between the busy seasons. Of course, there are tourists in Hawaii year round, but you’re the most likely to find great deals on flights and lodging during these months. Important note: The Ironman is held in Kona on the Big Island every October. Unless you plan on competing in the Ironman, you’ll be better off to book your vacation on another island during the week of the race. Are you flexible on your travel dates? This can be a huge money saver. Sometimes just changing a day or two can make all the difference. It is generally best to fly on weekdays if at all possible. It can be scary, but most of the time it saves money to wait to book your flights. This can be scary since there is no guarantee, but flights are often priced the best around 4-6 weeks from your travel dates. I do not recommend waiting this long to book your accommodations, as the best affordable accommodations tend to sell out quickly. Sometimes you can save quite a bit simply by visiting a different island. Often flights (or accommodations) are cheaper on one island or even part of an island. There is where it pays to have a travel agent because we know where the best places are to stay and when! Don’t worry, there are plenty of amazing things to do on every island! 7 best things to do on the Big Island. 7 best things to do on Maui. 10 best things to do on Oahu. 10 best things to do on Kauai. If you’re the kind of traveler who doesn’t mind making your own bed and washing your own clothes, a vacation rental can be a great way to save money on a Hawaii vacation. It’s not for everyone, but vacation rentals can be an affordable option for those looking to save. In a vacation rental condo with a kitchen, you can cook some of your own meals. Not only is this a great way to save money, but it’s also a fantastic option for those with dietary restrictions like me. 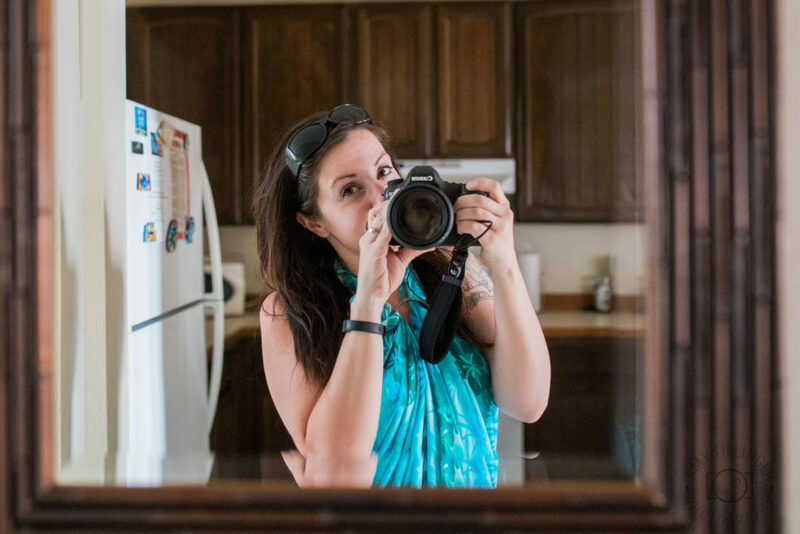 One of our vacation rental condos, you can see the full kitchen behind me! Vacation rental condos often have “extras” like toiletries, beach gear, common kitchen items and more. Many vacation rentals also have a washer and dryer which can save money since you don’t have to pack as much. Less luggage = fewer bag fees! Of course, vacation rentals aren’t just a budget option. You can also find rentals that cost just as much or even more than a 5-star resort. There are vacation rentals for every budget, but it’s possible to stay in a nice oceanfront vacation rental for less than a comparable resort. You’re going to spend money on a Hawaii vacation, there is no way around it. One way to make sure that you stay within budget is to plan your splurges. Want to take a helicopter tour? Have a beach day before or after (free or cheap!) to make up for the difference. Want to plan a dinner at a nice restaurant? Do you research first (or ask your travel agent) because not all pricey restaurants are worth it. When you do find the perfect restaurant to splurge, cook the rest of your meals for the day yourself. 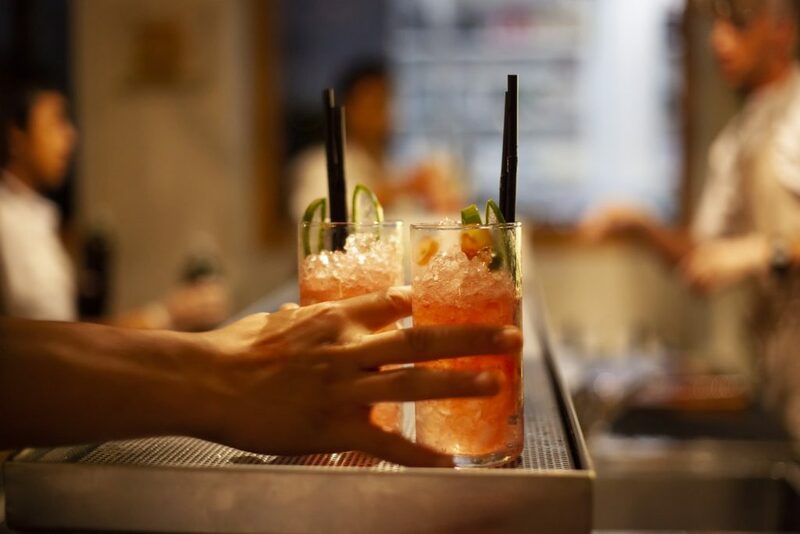 You can save quite a bit by finding the best happy hours in town! Not only will you save on drinks, but you can often get appetizers and even meals during happy hour at a reduced rate. I mentioned it earlier, but cooking some of your own meals is a great way to save money. Even if you aren’t staying in a condo with a kitchen, you can get creative with your meals depending on what your resort or hotel offers for meal preparation (grills, etc.) Combine this with hitting the best happy hours and you’ll save quite a bit! 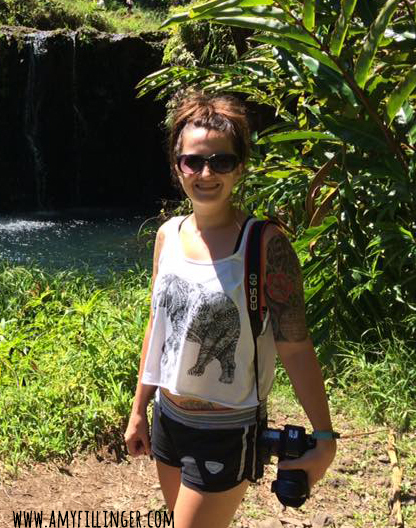 This isn’t always possible, but traveling as a group can be a great way to save money on a Hawaii vacation. Even traveling with another couple and splitting a condo and rental car can result in huge savings. You might want to avoid this route if it’s your honeymoon, anniversary, or if you’re traveling as a family, but it’s worth mentioning anyway. 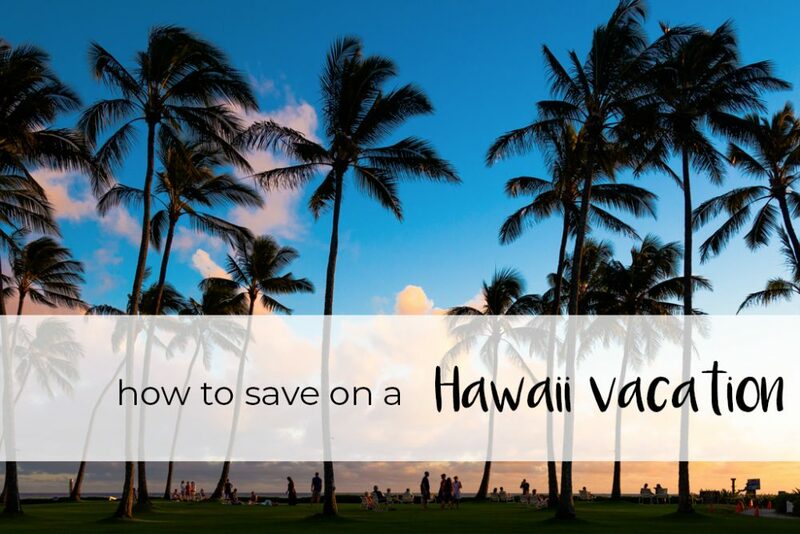 There you have it, my 7 best tips on how to save money on a Hawaii vacation. If you’re ready to travel, please get in touch! 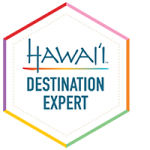 I keep up to date on the latest Hawaii deals and I’m always happy to help you plan your dream vacation. Dreaming of Hawaii, but not ready to travel just yet? Sign up for my newsletter! You will receive a weekly email with travel tips, Hawaii deals and more. I’ll be there whenever you’re ready to plan your vacation. Sign up below. Ready now? Feel free to contact me by email or set up a time for me to call you. Did you enjoy this post? Please save it on Pinterest or share with your friends on social media!